The Archery Range is for our club members and their guest. 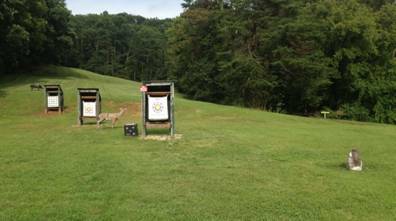 Come out and tune your bow at the practice range, or shoot at the 3-D range. Anyone willing to serve on the Archery Committee, please contact the Archery Range Committee Chairperson at the number below. We depend on volunteers to help with our committees, please lend a hand. 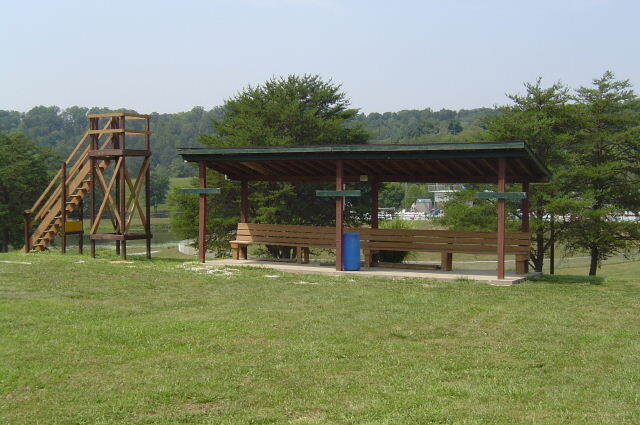 The 3-D Archery Range is located beyond the practice range starting on the 4-wheeler trail (trail 8 on the trail map). The first five targets are to the left of the “Y”, and the remaining targets are behind target 5 to the right of the “Y”. There are multiple targets consisting of a variety of Rinehart and Mckenzie 3-D animals. Each target has two shooting stations; white for beginners and red for more experienced shooters. Shots range from approximatly 15 to 40+ yards..
FYI - Members must carry their Membership Card at all times. The shooting tower at the archery range requires that a person be over twelve years old, or have parent supervision. No more than two people at a time will be allowed on the tower. The combined weight of the two people shall not exceed 350 pounds. Heres a link to WV Online, Hunting & Fishing Licensing System, DNR, etc.